Convenience stores are known to be a place where you can get a quick and pretty okay tasting meal. They are not known for having healthy meals. Family Mart is here to change that reputation. Last Thursday, we were invited to attend the launch of Family Mart's Health and Welness Line. 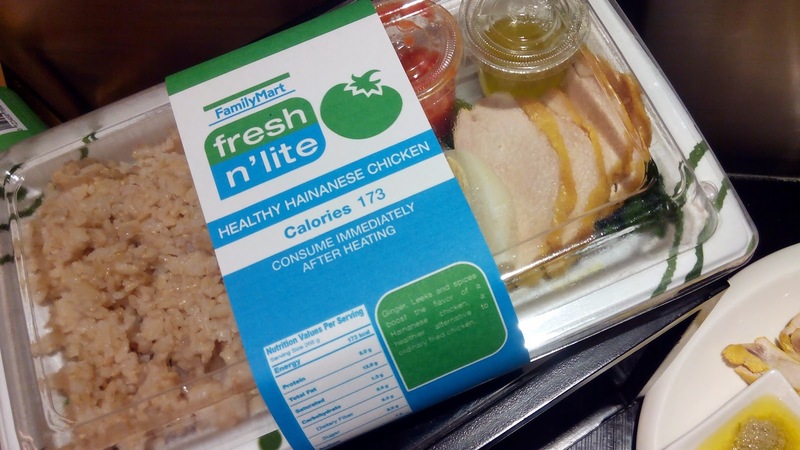 Family Mart wants to support eating healthy by making this very convenient to its customers. There's no more need to spare hours prepping your own meal and they even count the calories for you. Luckily, we were given the chance to try out the new line of food that will be available in all Family Mart stores nationwide. My favorites are the following. For someone who is not a even a fan of Hainanese Chicken, this one actually really got me. It was jus so good. I believe that I could have finished the entire thing all by myself if I didn't have to share it with others. On top of the delicous taste, its only 173 calories. If that's not awesome for someone who needs to watch her weight, I don't know what is. The Spanish Sardine Arabiatta was a bit spicy but I loved it as well. It was just right. It gives that mild zing we all need once in awhile. I wouldn't recommend this though on a date or dinner in with a partner as it would leave your mouth smelling like sardines. 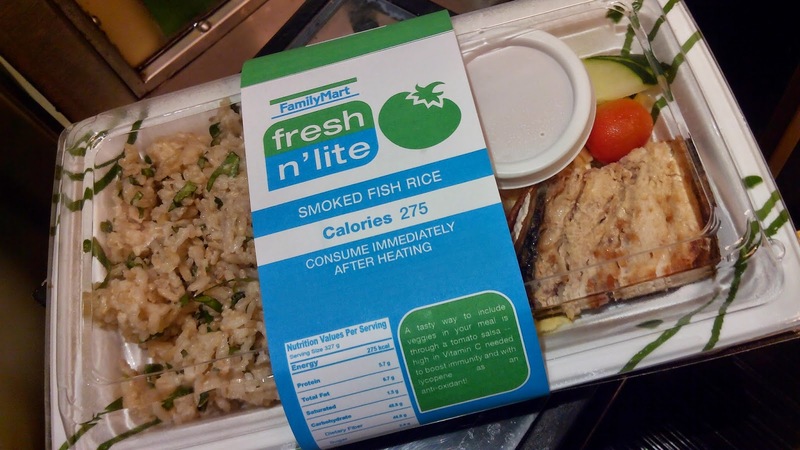 The Smoked Fish Rice was another hit for me. I'm not even a fan of fish but this is something I'd recommend for breakfast, lunch, or even dinner. It's something you can even "whip up" during a dinner party and your guests would be pretty impressed. Beginning March2015, FamilyMart beefs up its food selections with the introduction of its health and wellness line featuring tendishes – ranging from rice meals, to pasta, and even classic snacks Filipinos will surely love. The new line boasts of the following dishes: Breakfast Chicken Rice, Breakfast Beef Rice, Smoked Fish Rice, Healthy Hainanese Chicken, Kimchi Beef Rice, Chicken Pomodoro, Spanish Sardine Arabiatta, Veggie Sticks with Hummus dip, classic taho, and mango taho – all packed with essential vitamins such as vitamins A, C, E, and other minerals. 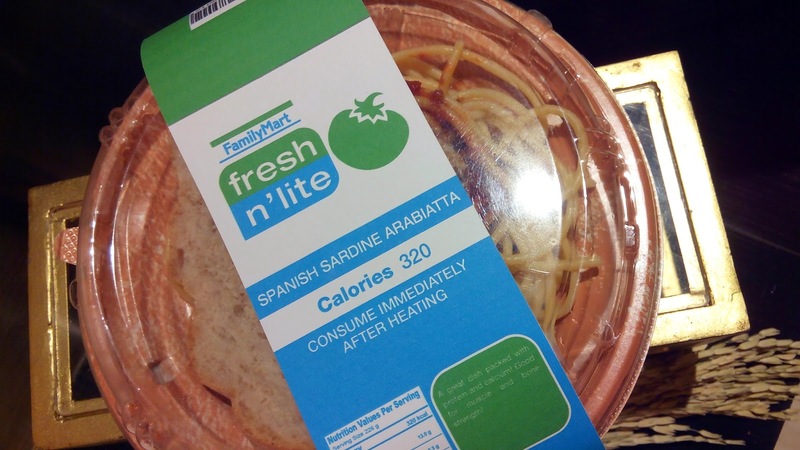 “With our new Fresh n’ Lite productline, we hope to make it easier for Filipinos to create promising and feasible healthy lifestyles beginning with the food they eat without having to sacrifice great flavor,” adds Paredes. As FamilyMart offers fresh food choices to Filipinos, the opportunity to nourish oneself in a positive way has become more attainable. “Now, it’s just a matter of making a decision. With the growing demand for food options supporting heathy eating habits, that choice has become very simple,” concluded Paredes. The FamilyMart Fresh n’ Lite line will be available starting March 25, 2015 at all Family Mart branches nationwide. For more information, please visit www.familymart.ph.